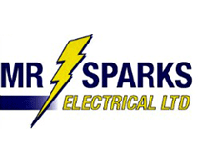 Mr Sparks Electrical Ltd delivers residential and commercial clients with comprehensive electrical services - from wiring to lighting - we are committed to delivering you with the best electrical work available! We can help you with basically anything from changing a light bulb to wiring a Multi-Storey Building! Residential electrical services include: Home lighting, Outdoor lighting/garden lighting, Home wiring and New power points, Stove repairs, Oven repairs and Security systems, TV and phone installation, Builders temporary electrical supply, Home heating, Switchboard upgrades and LED lighting upgrades, Home ventilation, New home wiring fit out's, House Rewires and more! Commercial and industrial electrical services include: Shop and office fit out's, Switchboards, Three phase outlets and Data cabling, Electrical maintenance, Fluorescent lighting and changing, LED lights, Security systems, Security lighting and Lamp replacement programmers, Lighting design, Power saving and more! Servicing all of Auckland, Mr Sparks' team of electrical contractors will listen to your needs and provide a solution that gets you the best outcome! Don't hesitate to give us a call to discuss your requirements; or check out our website for more information. We'll give you a free electrical services quote. All our electricians are fully qualified, and know what they are doing and offer the best service.